Every year during the fasting month (Ramadan), about 270,000 tonnes of leftovers that could still be consumed are disposed of wastefully. According to the Solid Waste And Public Cleansing Management Corporation (SWCorp), the food could have fed 180 million people, six times the country's population of 27 million. If the food is arranged in piles, the height of it would level that of 30 KLCC buildings. KLCC is 452 metres high. SWCorp chief executive officer Ab Rahim Md Noor said today an average 9,000 tonnes of food is discarded daily during Ramadan. He described the wastage as a worrying trend. 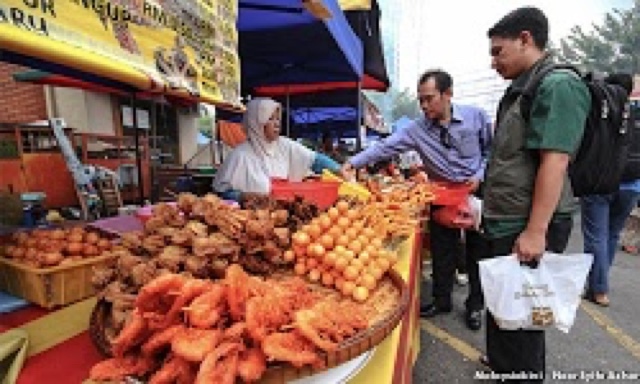 "Food leftovers are the highest component in the solid waste composition scale at 45 per cent, while the cost of managing solid waste in the states under SWCorp reached RM1.4 billion last year," he told Bernama. Ab Rahim said the 9,000 tonnes of food could feed six million people. Hence, he said, various initiatives had been implemented by SWCorp, among them, an agreement with hotels and eateries that leftovers be donated to welfare institutions. The corporation oversees the solid waste management system for Kuala Lumpur and Putrajaya, Pahang, Kedah, Perlis, Negeri Sembilan, Melaka and Johor.